Enjoy the natural beauty of Futaleufú in a new way. With or without experience we invite you to try something different on any of the fun and exciting tours we offer. Duckies or inflatable kayaks are light, maneuverable and safe watercrafts. Under the supervision of our professional guides you will leave with memories of being more in touch with Mother Nature. Class I, flat moving water with some tree and debris obstacles. 1 hour and a half of tranquil waters ideal for first-timers or families that want to enjoy a memorably pleasant experience without having to experience any challenging rapids. Especially designed for families and children. Class I, II, and III rapids, we will paddle ahead of you and play “follow the leader” the whole way down, meanwhile pulling over to explain the obstacles downstream, to play in the river, and to jump off of rock ledges. Same as the Class I trip which continues into entertaining class III rapids. This is the most popular section of the Espolon River. 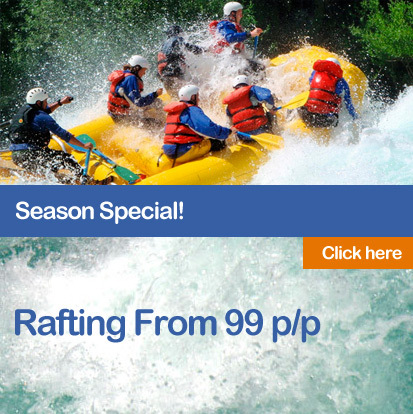 Ideal for children and adults that want pure adventure! Duration 2 hours. Watch our Ducky Tour Video!! !